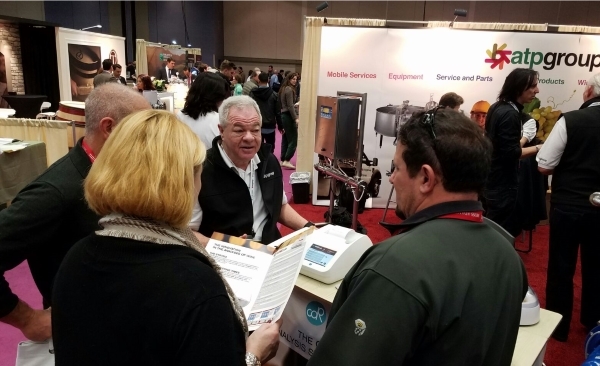 CDR WineLab®, wine analysis system, was in Sacramento at the Unified Wine and Grape Symposium with the CDR WineLab® exclusive USA distributor ATP Group. This is what the CDR WineLab® specialist in ATP Group, says about the Symposium: “In my 20 years of attending this show, it was the best I have ever seen it. This is my tought about 2017 Unified Wine and Grape Symposium held in January in Sacramento. With over 14,000 attendees and 675 vendors, it was by all accounts a great success. The ATPGroup booth prominently featured the CDR WineLab® for the first time. CDR WineLab® at the Unified Wine and Grape Symposium 2017 was last modified: June 8th, 2017 by CDR s.r.l.